Formula E has a special occasion on the horizon, as I’m sure you all know – the 50th E-Prix, gracing Hong Kong’s central area once more, is taking place this weekend. And nothing marks a revolutionary success quite like hitting a half-century, undoubtedly only one of the first glass ceilings it’ll be powering through. One of the hallmarks of Formula E is, coincidentally, one of the main bugbears of its fossil fuel-powered cousins: the competition. You rarely see drivers keep a title lead from one race to the next, let alone dominate a series, and it’s hitherto unheard of a manufacturer ever lands a 1-2. The only time that’s ever happened was here, at the first Santiago E-Prix last year. The Techeetah duo of Jean-Eric Vergne and Andre Lotterer were on red hot form before this event, and came out of it (barely – Lotterer mounting the back of Vergne’s car heading into the first corner was a heart-in-mouth moment everyone in the paddock fell victim to) with 43 sacred points. Nelson Piquet Jr had the start of his life to propel him into second, and pushed Vergne close, quite literally at times, in the early stages only to fall back into the clutches of Sebastien Buemi at the car-swap period and be pressured into the wall. But all eyes were on the Techeetah duo, and their on-the-edge duelling is what racing fans live for. Sometimes, all it takes is one moment for things to turn on their head. Never is that more true than in a motor race, as we saw back in 2016 in the Season Two title-decider. And it was about as controversial as it gets. Lucas Di Grassi and Sebastien Buemi were locked in the final throes of arguably the closest season Formula E has ever enjoyed. 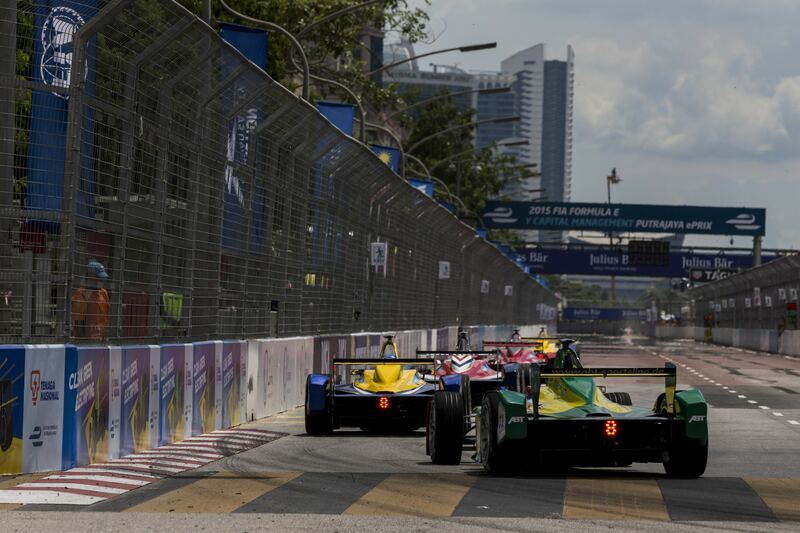 One point separated the leader Di Grassi from his adversary, but Buemi managed to land a devastating blow on the Brazilian, taking pole while his title rival lay in third. By the first proper turn, Di Grassi and Buemi were nestled in the run-off area, cars broken and tempers flared. Buemi had been hit from behind. Neither drivers would make it to the end. But this wasn’t over yet: fastest lap was still on offer, and they both had one car left with which to do battle over the 3 points that offers. After a tense fight, in a separate realm to the actual finishers ahead of them, it was Buemi who prevailed to win the Season Two title. Finding the best incident-packed race among an archival outback of incident-packed races was always a tough ask, but there was only one choice in the end: 2015’s Putrajaya ePrix. Chaos projected its troublesome spells onto the track that day, and many fell victim. The race began as it meant to go on, Nick Heidfeld spinning round at the first chicane after contact with Jean-Eric Vergne. But if the start was hectic, the best was yet to come. Sebastien Buemi has been dominating the race, but when he ground to a halt on the 15th lap it kickstarted a chain reaction of carnage. Loic Duval, who had been performing so admirably in third, found himself mugged by Lucas Di Grassi and Antonio Felix da Costa, before the latter also came to a permanent demise. Nico Prost was beginning to drop like a stone after an admirable defense against the onrushing Di Grassi, and Heidfeld found himself on the ragged edge once more – the save of the season preventing him from ending his race in the barriers. The action peaked with Robin Frijns working his way past Prost, only to drop his Amlin Aguri while Duval finished his promising run stopped on the track. Jerome D’Ambrosio crashing capped off what was, and still is, one of the most crash-happy races Formula E has seen. This one requires a bit of backstory. Sebastien Buemi and Lucas Di Grassi both picked up where they left off in Season Two: wrestling the drivers’ title from each other’s grasp. 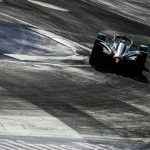 Buemi had a healthy lead going into the final two races, and took a gamble that would go on to reshape history – missing both rounds of the New York ePrix to fulfil WEC commitments. 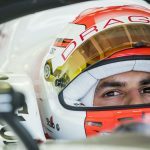 Di Grassi chopped into his title lead while the Swiss ace was away, and Buemi came back to Formula E action in Montreal with it all to do, and his start in race 1 could not have gone any worse. An uncharacteristically cautious and sluggish start was not helped by the fact his qualifying crash had left him rooted at the back, and all the while Di Grassi was cementing his lead of the race. But Buemi launched a comeback that would seemingly keep him right within the hunt. Car after car after car came under lock-on range, and Buemi slipped past each and every one, until he came across the hard defending of Stephane Sarrazin. Di Grassi won the race comfortably, but Buemi’s greatest recovery drive would ultimately amount to nothing – he was disqualified for being underweight and his decision to skip New York became the decision that took title number 2 away from him. Buemi launched into a feral tirade at his rivals in the paddock, the sign of a man who knew how preventable all of this was. Many races have presented themselves as classics: worthy contenders, title fights to the extreme, and gems along the way to a season’s conclusion. But in the end, there could only be one: 2017’s Mexico City ePrix had drama, excitement, and the greatest comeback the series has ever seen. Lucas Di Grassi, always at the centre of Formula E’s big moments, had his day of days in this particular race. The Brazilian was already mired in the midfield at the start, but Jose Maria Lopez’ shunt into the back of him, damaging his rear wing and forcing a pitstop, forced him to the very back of the field. What followed from there on though was pure magic. Gambling on an early car change along with Jerome D’Ambrosio, he found himself ahead of the pack and back at the front, but with 30% less usable energy than those around him. Di Grassi’s mesmerising management of his battery levels allowed him to fight off the chasing Vergne behind, who had already swallowed up D’Ambrosio, and against all odds, on a day of carnage a nightmare race became a platform for a stupendous comeback.